South Asia has suffered from a significant amount of terrorist violence over the years. For example, 38 percent of terrorist incidents in 2013 occurred in South Asia, according to the Global Center on Cooperative Security. In 2014, according to the U.S. State Department, more than 60 percent of terrorist attacks took place in just five countries (Iraq, Pakistan, Afghanistan, India, and Nigeria), of which three are in South Asia; nearly 6,700 people died from terrorist attacks in Pakistan, Afghanistan, and India that year. 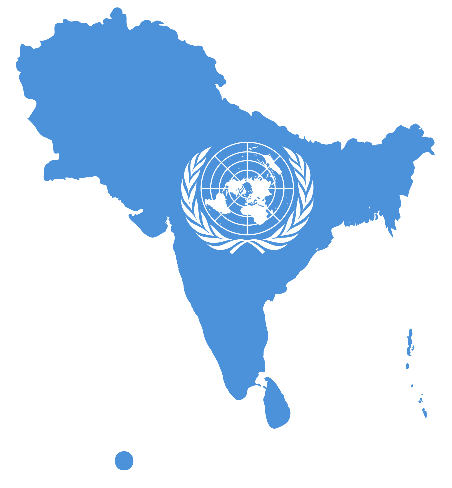 In recognition of the need to build expertise in the adjudication of terrorism-related cases, the Global Center and the UN Security Council’s Counter-Terrorism Committee Executive Directorate (CTED) launched a project to engage South Asian judges to develop strategies to improve the handling of such cases. One of the project’s goals was the development of a regional toolkit to help guide judges in their adjudication of such cases, which could in turn support the development of national bench books. Pro bono lawyers from SalesForce.com** and Salesforce Foundation, in partnership with Baker & McKenzie*†, rose to the challenge of preparing such a regional toolkit. When Salesforce began its pro bono program in 2014, it was eager to find a global project that could be done by its lawyers around the world. Drafting this regional toolkit fit the bill, and partnering with a global law firm like Baker & McKenzie allowed Salesforce to match up its lawyers with nearby law firm lawyers in different offices. Teams in Paris, London, Toronto, San Francisco, and New York contributed to the creation of this toolkit, which was recently submitted to the Global Center and CTED. The toolkit is practice-oriented and follows customary international and human rights law and norms relating to court proceedings for terrorism offenses. It is expected to be discussed at the 10th “Regional Workshop for Judges, Prosecutors, and Police in South Asia on Effectively Countering Terrorism” in Bangkok this October and may ultimately be used as a template for judges and judicial academies in other regions as well. This project is the latest example of how partnerships in pro bono, particularly on a global scale, can provide meaningful assistance on important issues. The PBEye salutes Salesforce and Baker & McKenzie on a job well done. Earlier this month, PBI and CPBO were honored to welcome a delegation from Mindanao in the Southern Philippines, in a trip organized by the U.S. State Department. The delegation, composed primarily of Filipino law student leaders, came to exchange views on the development of pro bono structures, culture, and leadership. The group sat down with Law Firm Pro Bono Project Director Tammy Taylor, CPBO Director Eve Runyon, and Global Pro Bono Coordinator Sri Katragadda. Two of the non-law students in the delegation: Eldred Cole, deputy regional prosecutor of Dumaguete City and Rhobert Maestre, president of the Mindanao Youth Volunteer Corps, provided details on the country’s mandatory 60 hour annual pro bono requirement and a brief look at the country’s legal profession. Both voiced an eagerness to advance the culture of pro bono and noted that this would ultimately be accomplished by involving the next generation of lawyers; hence the group’s heavy composition of law students. We were inspired by the thoughtful questions of these students, including law school clinic leaders, who are passionate about enhancing the profile of pro bono within the Filipino legal sector. For our part, PBI and CPBO discussed the history of pro bono development in the U.S. We noted that development of pro bono can be seen as both cultural — a growing expectation that pro bono is a normal part of an attorney’s practice — as well as structural — the institutional development of pro bono programs. Stay tuned for more pro bono developments in the Philippines from our new friends. 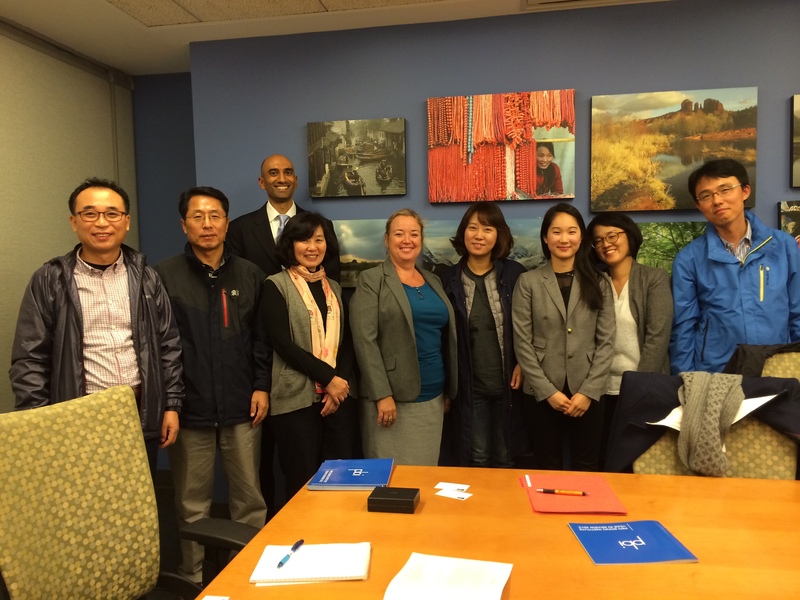 Last week, PBI was pleased to welcome officials from the Metropolitan Government of Seoul, South Korea. The visit comes nearly two years after PBI’s participation in South Korea’s first pro bono symposium. The officials, primarily from the Seoul government’s Legal Affairs Division, sat down with Law Firm Pro Bono Project Director Tammy Taylor and Global Pro Bono Project Coordinator Sri Katragadda to learn more about the history of pro bono in the U.S. The discussion was wide-ranging and touched on the role that PBI has played in the development of pro bono, as well as some of the challenges facing pro bono around the globe. The Seoul officials noted that South Korean lawyers are required to satisfy a mandatory minimum of pro bono hours every year or face a penalty. In addition, South Korean law provides lawyers as a civil right, but only if one is sued. This led to a discussion of unsatisfied legal needs for those who cannot afford a lawyer but do not meet the requirements to be assigned a lawyer, such as plaintiffs in civil matters. This meeting is the latest in a series of conversations that PBI has had with lawyers and representatives from South Korea interested in pro bono, dating back to 2006. We are excited to stay engaged with the development of pro bono in South Korea, particularly in light of the number of global law firms that have opened offices in Seoul. This week, The PBEye turns its focus to the challenges and opportunities for pro bono in Hong Kong. There has been growing recognition in recent years that traditional legal aid alone does not suffice to address the need for legal services. 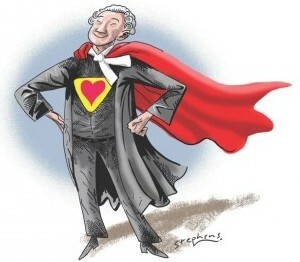 Pro bono assistance to address this gap is often implemented to or through nonprofit partners, a task made easier by increased availability of clearinghouses which connect pro bono lawyers with NGOs in need of their skills. Local examples of pro bono provided to or in partnership with nonprofits include: Latham & Watkins*†, which worked with the Hong Kong Refugee Advice Centre (relaunched as Justice Centre Hong Kong) to provide free legal advice and representation of those seeking refugee status; Reed Smith*†, which trained and participated in the Helpers for Domestic Helpers project, which hosts drop-in centers that offer free basic legal counselling and practical assistance to foreign domestic helpers working in Hong Kong; and K&L Gates*†, which advises Hong Kong-based Independent Schools Foundation (ISF) Academy, a bilingual K-12 school, on general legal matters, including agreement drafting and review, contracts matters, and capital notes. Despite interest in pro bono, however, challenges to increased participation remain. PBI’s Global Pro Bono Project features a survey of pro bono in 71 jurisdictions, last updated in 2012 by Latham, which includes analysis of the pro bono landscape in Hong Kong. The survey found a mixed picture, with significant percentages of solicitors and barristers who did not participate in pro bono. Challenges to greater participation included lack of time and insufficient resources to dedicate to pro bono work. In addition, foreign lawyers and law firms are not allowed to advise on Hong Kong law, which precludes them from pro bono representation in Hong Kong courts. Despite such findings, The PBEye is encouraged by increased public attention to the critical role of pro bono in Hong Kong, including the role lawyers can play in assisting the city’s nonprofit community to advance social justice. PBI is excited to travel to Ho Chi Minh City, Vietnam, this week to participate in the 2nd Southeast Asia/Asia Pro Bono Conference & Workshop 2013 the theme of which is “Pro Bono Initiatives to Strengthen Access to Justice.” The conference, to be held October 11-12, will feature an international keynote address by PBI President and CEO Esther F. Lardent entitled “The Development of the International Pro Bono Movement: History and Trends.” Lardent will also co-present with a representative of DLA Piper*† and others on the topic of developing a pro bono ethic in and with advocates for justice. PBI’s presentations in interactive workshops will focus on pro bono advocacy with respect to government and legal professional organizations, as well as pro bono opportunities for in-house counsel. The conference was organized by Bridges Across Borders South East Asia Community Legal Education Initiative, the Vietnam Bar Federation, and the University of Economics and Law, Ho Chi Minh City. Featuring participants from the legal sector in Southeast Asia and around the world, the conference is a chance for PBI to engage with lawyers and other pro bono professionals, representatives from the judiciary, policy makers, academics, law students, and civil society and nonprofit representatives to consider the ways in which pro bono initiatives can strengthen access to justice in Southeast Asia and around the globe. Lardent’s visit to Southeast Asia follows her December 2012 visit to South Korea where she participated in the country’s first ever pro bono symposium. Both visits represent opportunities to promote the development of a pro bono culture at its earliest stages. PBI is often called upon to share our expertise in law firm, in-house, and global pro bono. For example, our website features a survey, last updated in 2012 by Latham & Watkins*†, of pro bono practices and opportunities in more than 70 countries. In addition, we frequently serve as resources and trainers for pro bono programs around the world. In that capacity, we consult with organizers and participate in a variety of events worldwide that have proven useful in helping to develop a culture of pro bono in emerging markets. We are excited to participate in this conference and look forward to learning more about the current state of pro bono in Southeast Asia. Don’t forget to check out our live tweets from Ho Chi Minh City! The PBEye was thrilled when the latest update of its global pro bono atlas, prepared by Latham & Watkins LLP*†, grew to include 71 jurisdictions. Imagine our delight when we learned we could add a 72nd – South Korea. 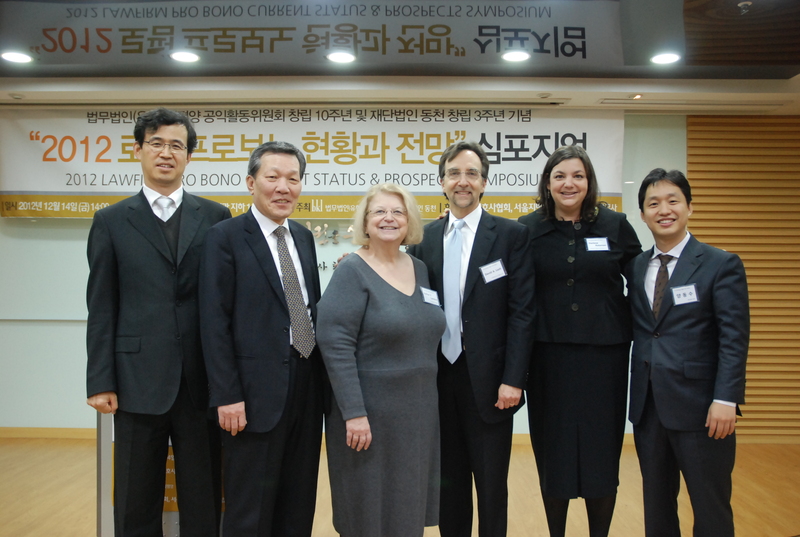 On December 14, 2012, PBI President and CEO Esther F. Lardent traveled to Korea to participate in the country’s first pro bono symposium. The event was hosted by Bae, Kim & Lee LLC and the Dongcheon Foundation, which serves as BKL’s pro bono arm and a resource for pro bono more generally throughout Korea. The goal of the symposium was to share knowledge about pro bono best practices in the United States and the current state of pro bono in Korea. Top leaders from Korean law firms, officers of the Korea and Seoul Bar Associations, and other prominent leaders of the legal profession participated in the symposium and provided valuable insight into South Korea’s pro bono culture. Sessions focused on how the nation and its law firms could expand and coordinate pro bono services. The event also brought together pro bono coordinators from Korean law firms and representatives from public interest organizations such as Gong-Gam. We learned that attendees have followed pro bono developments in the U.S., including the activities of PBI as well as the pro bono efforts of U.S. law firms, for years. Lardent gave the keynote address on PBI, its Law Firm Pro Bono Challenge®,and pro bono trends and best practices, and spoke on panel presentations with Korean law firm leaders. David Lash from O’Melveny and Myers LLP* and Harlene Katzman from Simpson Thacher & Bartlett * – two U.S. firms that now have offices in Seoul – also presented at the symposium, providing invaluable insights on how to structure and administer successful law firm pro bono programs. 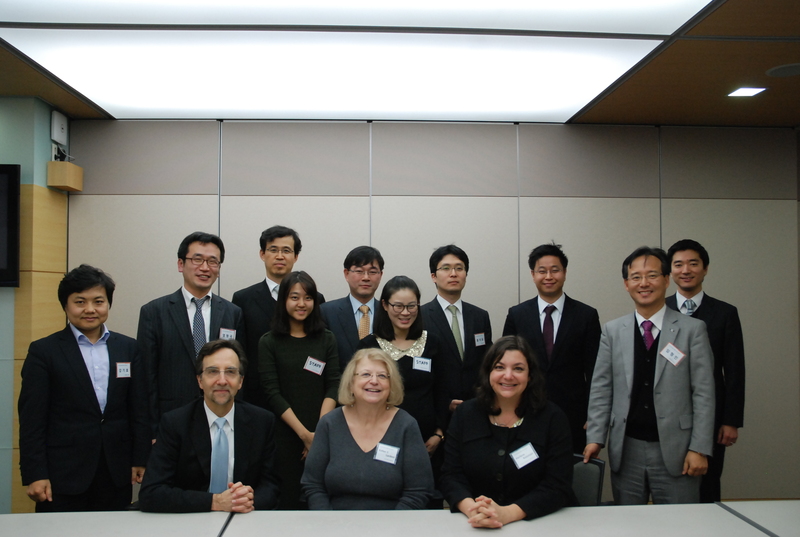 Lash, Katzman, and Lardent spent a busy week in Korea, meeting with BKL’s leadership, public interest and law school leaders, and the media. Lash also conducted a well-attended session on pro bono service for BKL’s lawyers. In addition to presentations and meetings, Lardent conducted extensive interviews with prominent Korean newspapers, including the Law Times and Chosunilbo, the largest newspaper company in South Korea. It appears inevitable that the increasing number of Korean law firms and public interest groups would reach the current tipping point at which they are now committed to improving and enhancing the country’s pro bono culture and practice. The country appears to be in a perfect storm that will allow pro bono to expand – a solid and growing economy, a highly educated populace, a sharp increase in the number of law schools and law graduates, a surprising number of large and mid-sized law firms with sophisticated corporate practices, and the recent implementation of free trade agreements with the U.S. and EU that have liberalized the entry of global firms (14 at last count) into Korea. We thank our hosts at Bae, Kim & Lee and the Dongcheon Foundation for their generosity in supporting PBI’s travel to South Korea, their hospitality and kindness, and their deep commitment to pro bono service. And look for a few of our new Korean friends at the 2013 PBI Annual Conference! PBI is often called upon to share our expertise in law firm, in-house, and global pro bono. Just last week, we released, in conjunction with Latham & Watkins LLP*†, a survey of pro bono practices and opportunities in more than 70 countries—from Angola to Venezuela—that describes the legal landscape and provides essential details about local legal aid programs, unmet legal needs, and rules that shape the framework for pro bono legal services. In addition, we frequently serve as resources and trainers for pro bono programs around the world. In that capacity, we help organize and participate in a variety of events worldwide—most recently in Mexico—that have proven useful in helping develop a culture of pro bono in emerging markets. This week, we’ll be traveling abroad again. PBI President and CEO Esther F. Lardent will be traveling to Seoul, South Korea, to participate in South Korea’s first pro bono symposium, hosted by Bae, Kim & Lee LLC. This symposium couldn’t be timelier as many large law firms are rushing to set up offices in South Korea, now that the country has begun to liberalize its legal market. 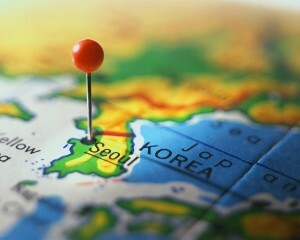 More than 15 U.S. and U.K. firms have either opened branches in Korea or have announced that they intend to do so in 2013. Lardent will be presenting an introduction and overview of pro bono activities in the U.S. Other topics will include best practices for administering law firm pro bono programs, promoting pro bono work and engaging law firm lawyers, and gaining support from firm management. Lardent will also be participating in a separate roundtable discussion with representatives from O’Melveny and Myers LLP*, Simpson Thacher & Bartlett LLP*, Bae, Kim & Lee LLC, and other Korean-native firms. We were first introduced to the emerging pro bono culture in South Korea in 2006, when we met with and advised a delegation of lawyers who were on a listening tour of the U.S. to generate ideas and best practices that they could take back home, adapt, and implement. We are excited to participate in this symposium and look forward to learning more about the current state of pro bono in Korea. Don’t forget to check out Esther’s live tweets from Seoul! Accenture is a global management consulting, technology services, and outsourcing company that makes corporate citizenship a priority. From its Skills to Succeed initiative that aims to equip 250,000 people worldwide with the skills to get a job or build a business, to environmental stewardship to pro bono work and corporate giving, Accenture and its people are working to making a sustainable difference in communities around the world. With such a serious company commitment to doing social good, it is no wonder that Accenture’s legal department boasts an exceptional pro bono program. 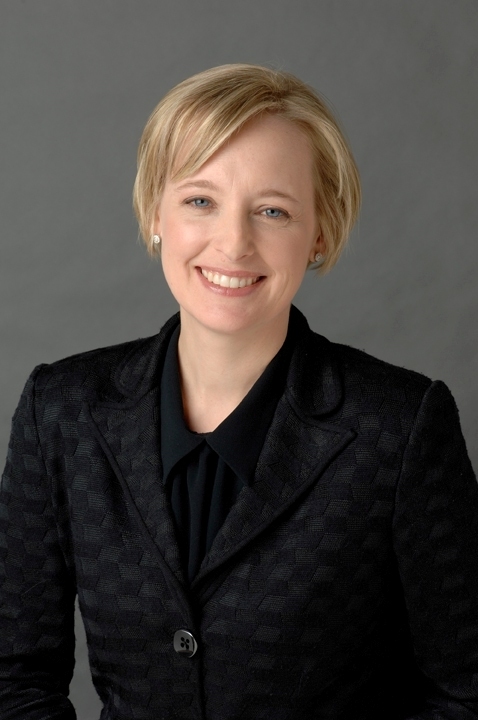 Under the helm of Accenture General Counsel, Secretary & Chief Compliance Officer Julie Sweet, the legal department has undertaken a wide range of pro bono efforts, including innovative global pro bono work. Teaming with Baker & McKenzie in the U.S.
Teaming with Baker & McKenzie*†, Accenture has helped countless elderly, poor clients at educational clinics run by the Center for Disability and Elder Law in Chicago. The pair has also assisted low-income naturalization applicants referred by the National Immigrant Justice Center with their applications and other related processes. Finally, Accenture and Baker & McKenzie have provided a comprehensive legal assessment of a Chicago-area nonprofit that works to increase and preserve the supply of decent and affordable housing in Illinois for low- and moderate-income households. Taking advantage of the company’s global reach, Accenture lawyers find opportunities to do pro bono work across borders. One of the company’s most impressive pro bono efforts is the project it began several years ago in Nepal with the human rights group PILnet. The team set out to inform international law and normative practices with regard to discrimination of minority populations and to encourage education and literacy. To this end, Accenture hosted a webinar to provide a forum for the exchange of ideas surrounding education and literacy in developing countries. From this webinar came an initiative to empower women in the workplace in Nepal, deter sexual harassment, advocate equal pay and rights, and protect health and safety. Accenture and PILnet expanded the team to include Caterpillar Inc.**, Merck & Co., Inc.**, and Baker & McKenzie—a virtually unprecedented and innovative inter-company, cross-border approach to meaningfully impact humanitarian issues. The resulting program—which united nearly 70 lawyers in 11 countries —was designed to empower women in the workplace in Nepal, where women and girls as young as 10 years old work in “cabin and dance” restaurants in which they are compelled to smoke, drink, and engage in sexual relations with patrons. Ultimately, the Supreme Court of Nepal issued a decision decrying the practices and directing the enactment of legislation to address the issue. In 2009 alone, Singapore moms filed 3,600 claims against fathers who failed to make child support and spousal maintenance payments, some of them repeat defaults. Custodial parents who depend on regular payments to support their minor children endure an endless stream of time-consuming court procedures in an effort to enforce their kids’ legal right to support. The PBEye recently learned from The Straits Times that pro bono is about to make justice more accessible to single parents in Singapore. Through pro bono legal services, MSC helps means-tested indigent moms file enforcement complaints without having to spend countless hours in a courthouse. The PBEye tips its hat to Singapore’s legal community for collaborating to harness pro bono to provide meaningful access to justice. Are you in the know about emerging pro bono initiatives abroad? Drop us a comment below and tell us all about it. CPBO Spotlight On: Caterpillar Inc.
Caterpillar established a pro bono program in 2006, under the leadership of Senior Vice President and Chief Legal Officer Jim Buda, who recognized the benefits of developing a pro bono program, both for the legal division and for the communities in which the company operates. In five short years, the legal division, which consists of more than 300 attorneys and staff in 26 offices worldwide, has provided thousands of hours of pro bono legal services to those in need. In addition, a Charter Signatory to the Corporate Pro Bono ChallengeSM, the Caterpillar legal division has met the Challenge’s 50 percent participation goal. Its success is due not only to management support, but a strong committee infrastructure, including a designated coordinator, a position currently held by paralegal Celeste Poole. 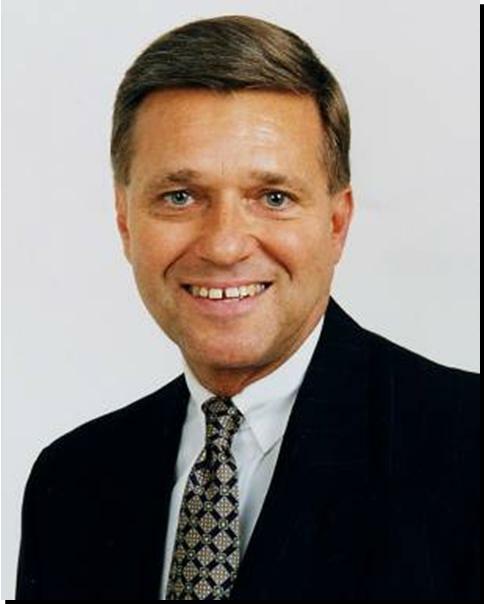 Jim Buda, Vice President, General Counsel, and Secretary, Caterpillar Inc.
[To] facilitate the provision of pro bono services by Caterpillar Legal Services Division attorneys and staff, for organizations and individuals in need, to improve the communities in which we work and live. The committee carries out this mission through a number of impactful pro bono efforts. Lawyers and legal staff at Caterpillar’s corporate headquarters in Peoria, Ill., staff numerous clinics each year—both in Peoria and also in Chicago. One such clinic served immigrants, helping victims of domestic violence obtain U-Visas. Other clinics have provided legal assistance to disabled and elderly people and first responders by preparing powers of attorney and living wills. The legal division typically partners with an outside firm and a legal services provider to host these clinics. Lawyers and staff regularly take on a wide range of individual matters including wills, divorce, orders of protection, adoption, 401(c)(3) organization, intellectual property matters, and employment issues. A majority of these matters are referred to the legal division by a local legal services provider. Caterpillar has had tremendous success in undertaking global pro bono projects. Of particular note is a recent case in which Caterpillar lawyers and staff teamed up with Accenture plc**, Merck & Co., Inc.**, Baker & McKenzie* and PILnet (formerly the Public Interest Law Institute) to create a virtually unprecedented and innovative inter-company, cross-border approach to meaningfully impact humanitarian issues. The resulting program united nearly 70 lawyers in 11 countries, all working to help draft model legislation to protect Nepalese women working in “cabin and dance restaurants” from socio-economic and sexual exploitation. The project was generated by PILnet’s Global Pro Bono Clearinghouse, which disseminates pro bono opportunities for law firm and in-house lawyers to support the work of public interest lawyers around the world. Based on a public interest case, the Supreme Court of Nepal issued a decision decrying the practices and directing the enactment of legislation to address the issue. CPBO honored this partnership with its 2010 Pro Bono Partner Award. Caterpillar is a true leader in in-house pro bono. In addition to providing pro bono legal services, it has created an outreach team to provide advice and support to other legal departments with regard to their pro bono efforts. Sharing the experiences of the Caterpillar legal division so that others may learn from them and be more effective in their efforts creates a multiplier effect and results in even more people being assisted.